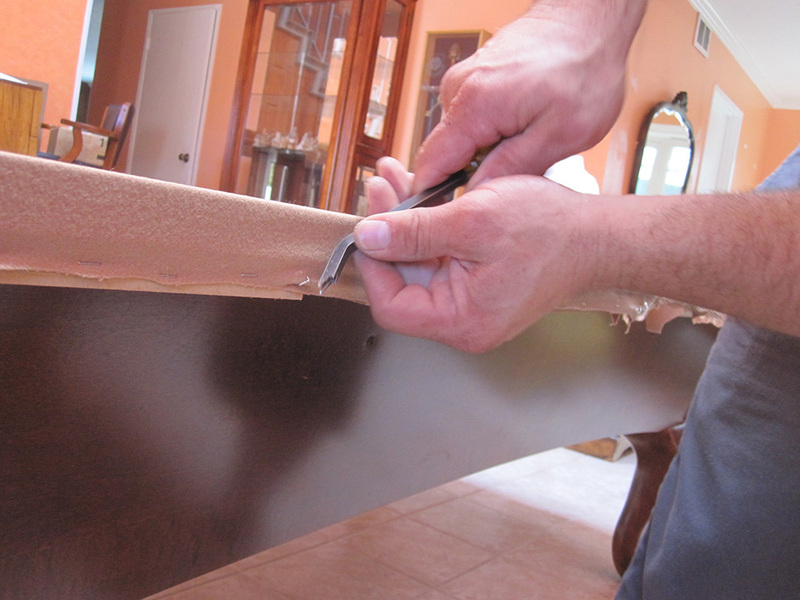 Here we are at our client’s home in Orange, CA. 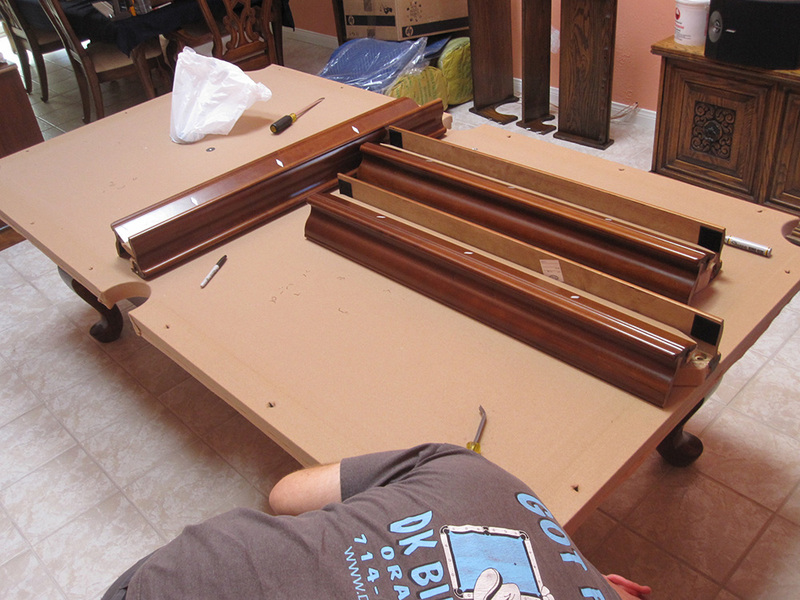 He unfortunately had a flood and was in need of our services. 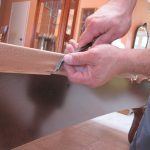 We routinely perform jobs just like this one, most of the time though our clients are changing their flooring because of planned remodeling, not an unexpected leaky toilet. 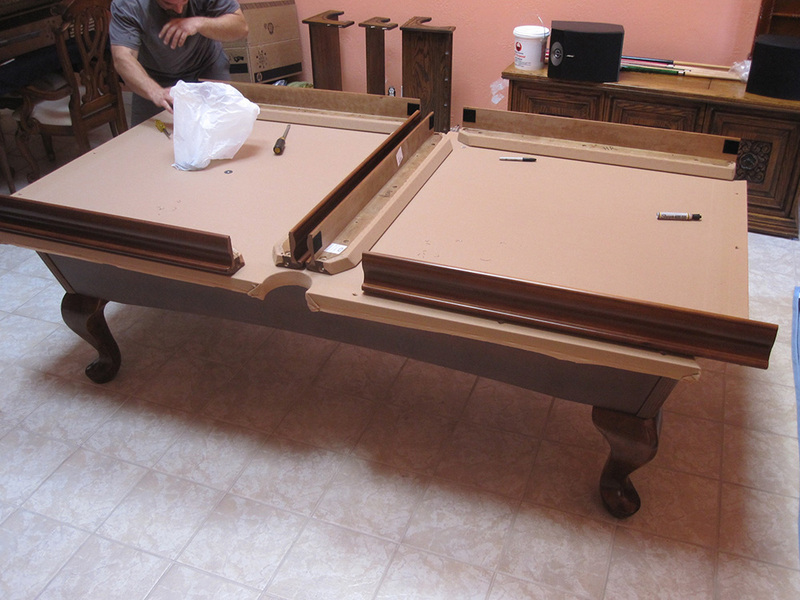 Fortunately for this eight foot American Heritage pool table the flood was discovered early and water had not spread to the game room. 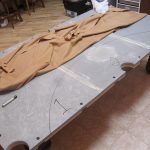 Whenever I come across an American Heritage pool table I always check the cushion rubber to see if there are any “dead” rails. 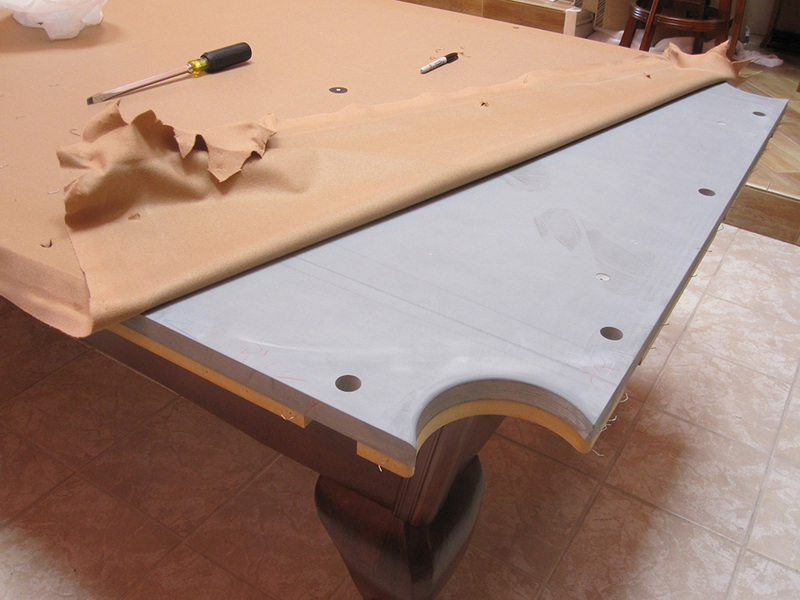 Sure enough there was one “dead rail”, when I pointed this out to my client he was shocked that this could happen on such a new pool table. 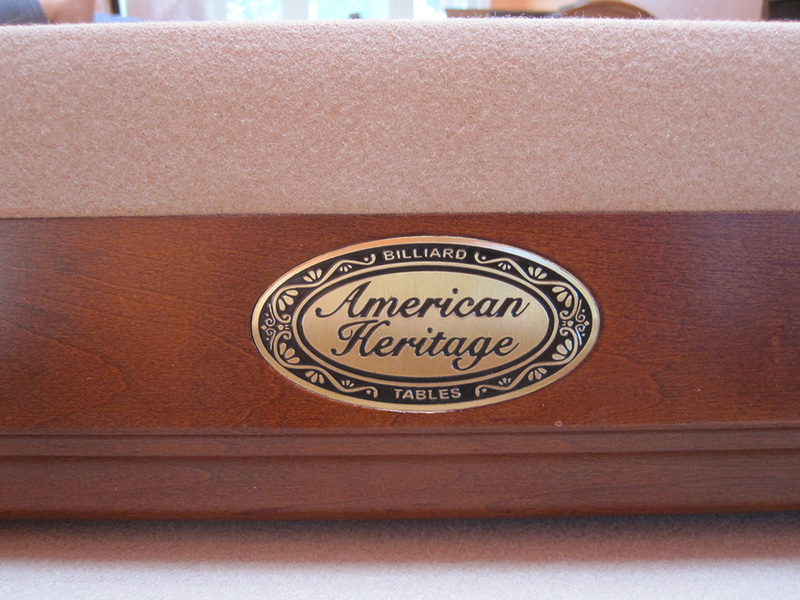 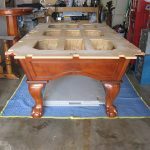 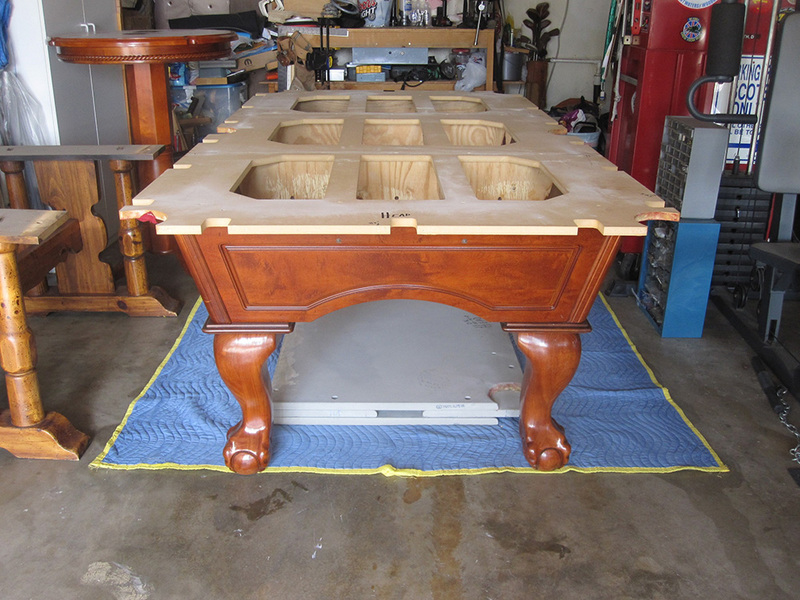 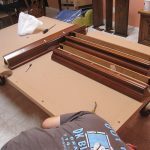 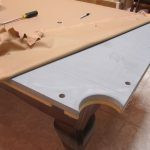 My client told me he had purchased his American Heritage table from Pool Tables USA about six years ago. 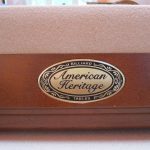 I told him that seven out of ten America Heritage pool tables ALWAYS have at least one or two “dead” cushions. 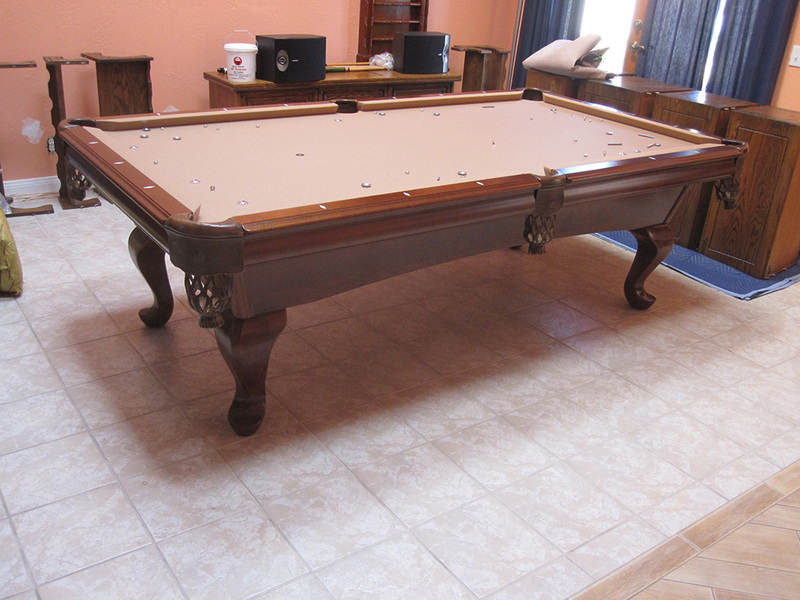 It’s a shame that the former Santa Ana, CA pool table showroom closed their doors about two years ago. 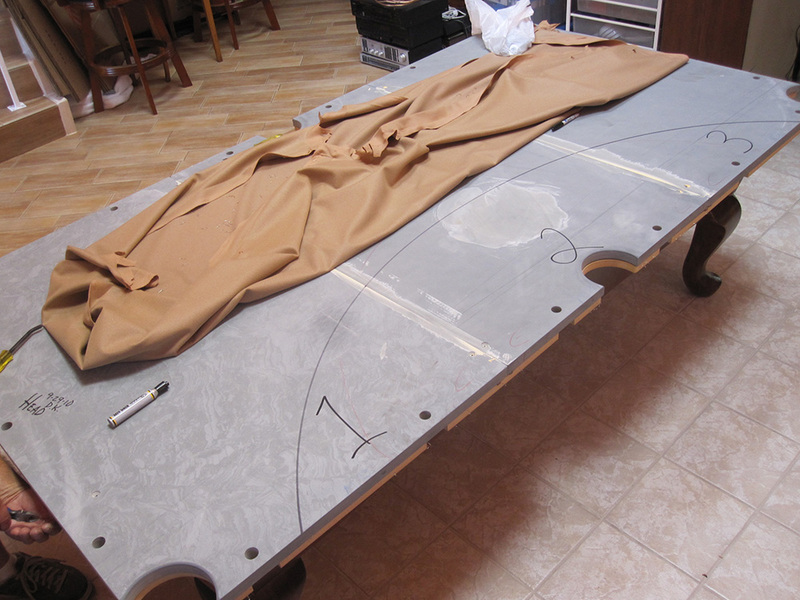 On the bright side, I told my client that it would be possible to re-cushion the rails without having to replace the felt.